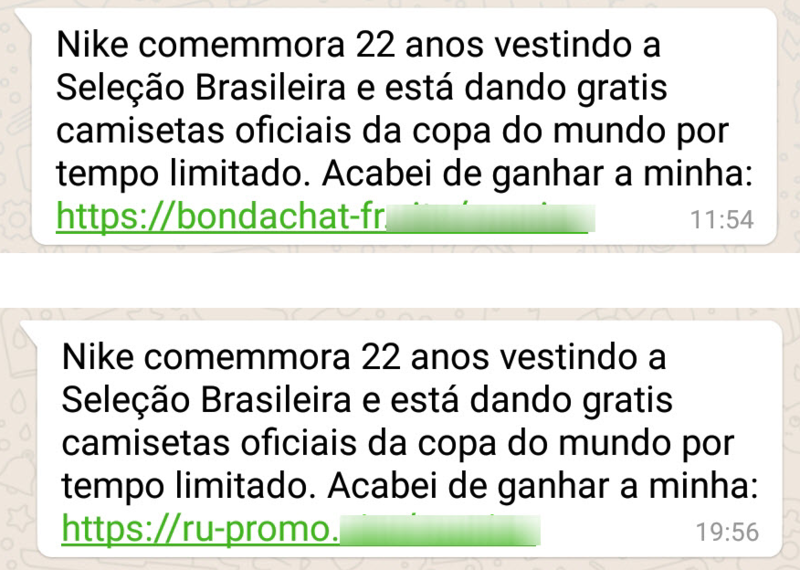 The scam circulated through WhatsApp aimed at users in Brazil claiming that Nike will give away the jersey that the team will wear at Russia 2018. With ten days to go before the FIFA World Cup begins in Russia cybercriminals are trying to take advantage of the event by tricking people into providing personal details or clicking on links that contain dangerous content. Likewise, with the World Cup getting closer we expect cybercriminals to try to take advantage of the excitement of fans as they to on all things related to Russia 2018 and unknowingly spread threats. Therefore, it is important to be more attentive and learn to detect the deceptions to prevent them from affecting us and spreading.